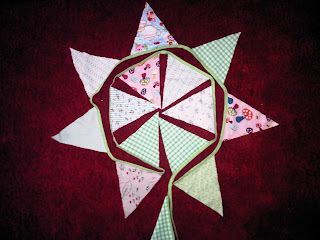 Destined for so much, achieving so little: Ditsy Florals, bunting and padded hearts! Ditsy Florals, bunting and padded hearts! 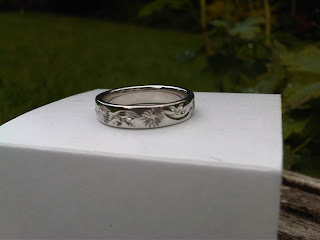 So its been a while since I last posted but now with only 59 days to go until the wedding I am in turbo crafting mode. 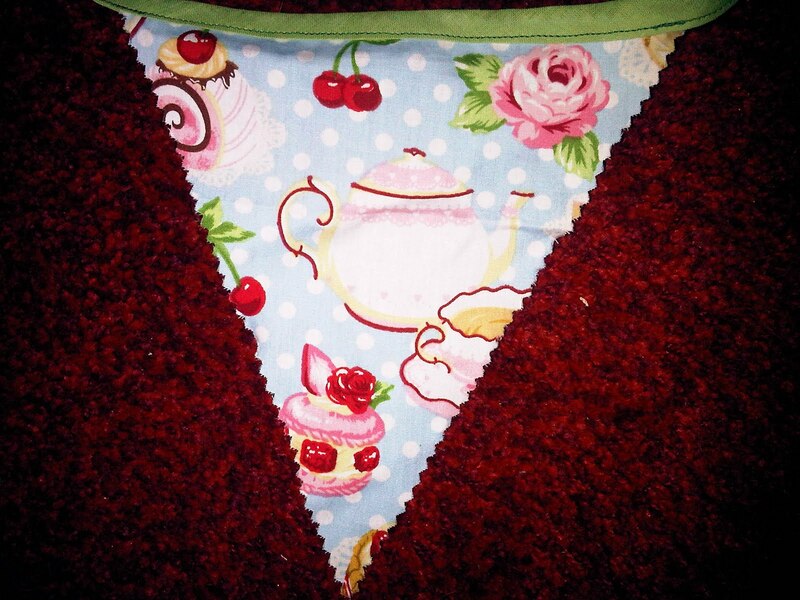 I just love the village fete look and really wanted a mass of bunting; so with my sewing machine plugged in I began. I found a selection of fabrics and to save time and money I decided to use a simple design. 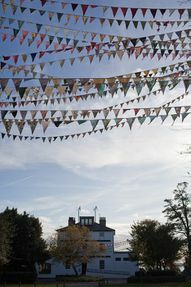 The flags are single sided, but as you hold them up to the light the pattern shows through which meant more fabric was left over to make even more bunting!! I used pinking sheers to stop them fraying and also gives it a home made look, and saved time as I didn't have to finish the edges properly. I particularly liked this fabric as it fitted in with the tea theme perfectly. 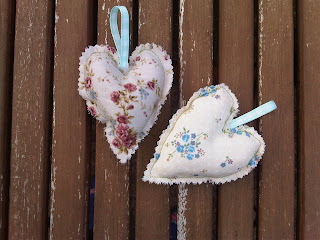 The scraps of fabrics were perfect for making these padded hearts which are being added to my table centre decorations.